(a) Overview. We thank you for selecting Gibi. The following terms and conditions (the “Service Agreement”) govern the services (the “Services”) provided to you by Gibi Technologies, Inc. (“Gibi”) in connection with your Gibi device, and apply to any Gibi subscription (paid, promotion or otherwise). By using the Services, you agree to the Service Agreement. You should read through the Service Agreement carefully, including the arbitration provision in Section 6. (b) Start of Service Agreement. The Service Agreement starts when you accept it. You accept the Service Agreement when you sign up for a Gibi subscription plan or start using the Services. If changes have been made to your subscription, we notify you of such changes and you continue using the Services, you are deemed to have accepted the amended Service Agreement. You can cancel, change or transfer your subscription only as allowed in Section 3 of this Service Agreement. (c) Change to Service Agreement. The Services are subject to our business policies, practices and procedures, which we can change without giving notice to you. UNLESS OTHERWISE PROHIBITED BY LAW, WE RESERVE THE RIGHT TO AMEND THE TERMS AND CONDITIONS OF THE SERVICE AGREEMENT AT ANY TIME. Such amendments will be posted on our web site at www.getgibi.com. Subject to your receipt of notice of amendments, you shall be bound by all such amendments from the date the amendments are made. Please contact us at support@gibitechnologies.com if you have any questions about these changes and how they apply to your use of the Services or your Gibi device. (a) Limitations. The Services depend on wireless and GPS positioning services. As a result, the quality of the Services may be affected by your location and the location of your pet. Your service will be limited when the Gibi device is outside the transmission area of the wireless network or has an obstructed transmission with the GPS satellite network and you may not be able to activate, deactivate or make changes to the Services. Even within the coverage area, factors such as network capacity, limitations and restrictions of wireless carrier service providers, your Gibi device type, terrain, your proximity to buildings, foliage and weather (to name a few) may impact the availability and quality of the Services. You acknowledge and accept these limitations of the Services. The Services provide an approximate location of your Gibi device. The results you obtain from the Services, including but not limited to directions, maps, and requested locations or messaging, may not be accurate, timely or reliable. We may set limits on the use of the Services at our discretion. We do not guarantee that any lost animal will be found. THE GIBI DEVICE IS ONLY INTENDED FOR LOCATING PETS. DO NOT USE FOR LOCATING CHILDREN, ADULTS OR OBJECTS. USING THE GIBI DEVICE IN A MANNER OTHER THAN SPECIFIED IN THE USER MANUAL MAY CAUSE INJURY OR LEAD TO PROPERTY LOSS. (b) Interruptions. The Services may be interrupted or restricted without notice to you. We are not liable for any interruptions of Services and are not required to provide any compensation if your Services are interrupted or your Services are limited based on network coverage and availability. Please contact us at support@gibitechnologies.com if you have any questions regarding interruption of your Services. (d) Text Messages. The Services may send text messages to your mobile device as well as to the mobile devices of others. The number of messages sent will depend upon your account settings. You authorize us to send text messages to your mobile device and the mobile devices of others. Message and data rates may apply and all recipients will be responsible for paying such charges. Check with your carrier if you have questions about your plan and costs. To stop receiving text messages from this service, email support@gibitechnologies.com. (e) Contacting You. You authorize us and our affiliates, agents and independent contractors to contact you at any telephone number you provide to us, using any means of communication, including, but not limited to, calls or text messages to mobile, cellular, wireless or similar devices and calls or text messages using an automated telephone dialing system and/or artificial voices or prerecorded messages, even if you incur charges for receiving such communications. You also agree that we and our affiliates, agents and independent contractors may use any other medium, as permitted by law and including, but not limited to, mail, text message and e-mail, to contact you. If you want to make a change in how we contact you, including with respect to any telephone number that we might use, please contact us at support@gibitechnologies.com. You agree that we and our affiliates, agents and independent contractors may listen to or record telephone calls between you and our representatives without additional notice to you. (a) Subscription Plans. When you sign up for the Services and accept the Service Agreement, you will be purchasing a subscription plan that generally sets out your subscription information and service features, including but not limited to the term, duration, billing information, payment due dates, price, costs, fees, taxes and recurring charges associated with those allowances and features. WE WILL REFER TO YOUR SUBSCRIPTION PLAN AND RELATED TERMS AS YOUR “PLAN”. YOUR PLAN IS INCORPORATED HEREIN BY REFERENCE AND WILL BECOME PART OF THE SERVICE AGREEMENT. If a term or condition of your Plan expressly conflicts with the Service Agreement, the term or condition in your Plan will govern. If at any time you change your Plan, you will be subject to the requirements, such as a new minimum term, associated with such change. Cancellation of your subscription before the expiration of the Plan’s term may result in a termination fee as detailed in the Service Agreement or your Plan. (b) Changes, Termination and Renewal. You may choose to have your Plan renew automatically for another period under the terms of this Service Agreement. Your account will automatically be charged (or you will be billed, as applicable) at the rates in effect at the time of renewal. You have the right to change your Services and Plan. EARLY TERMINATION FEE MAY ALSO APPLY IF YOU CHOOSE TO END YOUR SERVICES BEFORE YOUR FIRST RENEWAL OR ANY SUBSEQUENT RENEWAL, OR IF WE TERMINATE YOUR SERVICES EARLY FOR GOOD CAUSE. Except as otherwise provided in this paragraph, all terminations of Plans based on a monthly, annual or other billing cycle by you during such cycle become effective on the last day of that billing cycle. You will remain responsible for all fees and charges incurred until the last day of such billing cycle and you will not be entitled to any partial–month credits or refunds. HOWEVER, SUBSCRIPTIONS AND FEES FOR ALL PRE-PAID, MONTHLY, ANNUAL AND SIMILAR SUBSCRIPTIONS, AND CERTAIN PROMOTIONAL SUBSCRIPTIONS ARE NONREFUNDABLE. IN THE EVENT THAT WE CEASE PROVIDING THE SERVICES, WHETHER AS A RESULT OF LIQUIDATION, BANKRUPTCY, OR OTHERWISE, ALL PREPAID SUBSCRIPTIONS WILL BE TREATED AS NONREFUNDABLE. Each Plan is tied to one Gibi device. You may have multiple Gibi devices and multiple subscription plans. If you add additional Gibi devices to your account, you must purchase a separate Plan for each one. Because a Plan is tied to a Gibi device, if your Gibi device is lost or stolen, you must cancel or suspend your Plan or you will remain responsible for payments under the Plan. if you, any user of your Gibi device or any authorized contact on your account threatens or commits violence against, use vulgar or inappropriate language with or misrepresent the truth to our representatives; interferes with our operations; spams or engage in other abusive activities; modifies your Gibi device from its manufacturer’s specifications; uses your Gibi device or the Services to violate or infringe upon any rights of ours or of any third party, including, but not limited to, copyright, trademark, contract, defamation or right of privacy; or uses the Services in a way that adversely affects us, our network or other customers, partners, representatives, agents or affiliates. We can also temporarily limit your Services for any operational or governmental reason. WE CAN CANCEL ANY AND ALL SERVICES AT ANY TIME AND FOR ANY REASON. usage charges, taxes and other fees that we set. These may vary depending on where, when and how you use your Gibi device or the Services. We reserve the right to waive any of the above fees, in whole or in part, at our discretion. If we waive any fee or any other provisions of this Service Agreement, such waiver will not be deemed to apply to any other Plan, customer or future occasion. (c) Charges, Fees and Taxes We Do Not Set. You are responsible for, and agree to pay, all taxes, fees and surcharges set by any governmental agency or taxing authority. We may not always give advance notice of changes to these items. (d) Billing Statements and Account History. You can view your account history on the Site. We may separately issue you a billing statement at the email address provided to us by you. Your billing statement or account history reflects the fees and charges in effect under your Plan at the time they are incurred, and is our notice to you of your fees, charges and other important information including, without limitation, payments, credits, purchases and any other charges to your account, your account balance and the payment due date. Charges may vary depending on which Plan(s) and Services you have chosen. Billing for your Services and related charges may be delayed from time to time. Please our Customer Care department with any questions about your account history or billing information or if you believe there are any billing errors. You must notify Customer Care or change your information via your online account immediately in the event of any change in your name, billing address, service address, email address, telephone number or credit or debit card or other account information. (e) Billing Disputes. You can dispute your account history or bill by contacting our Customer Care department. Unless otherwise provided by law, you must still pay any disputed charges until the dispute is resolved. (f) Payments. All payments must be made in U.S. Dollars. Payment is due in full each payment period. As a condition of your Plan, you may be obligated to pay in advance by credit card or debit card. All amounts due must be paid by the due date to avoid any late fees and possible deactivation of your Services. We may, at our discretion, accept partial payments, which will be applied to the oldest outstanding charges on your account. If you are late in making any payments to us, we reserve the right to suspend or terminate your Services, deactivate your Gibi device immediately and report any late payment or non-payment to credit reporting agencies. We may require an advance deposit (or an increased deposit) from you. We will pay interest (if required) on any deposit at the rate the law requires (if any). Please retain your evidence of deposit. You agree that we can apply deposits, payments or pre–payments in any order to any amounts you owe us on any of our accounts or Plans with us. You cannot use a deposit to pay any bill unless we agree in writing. We will not honor limiting notations you make on or with your checks. (a) Your Gibi Device. 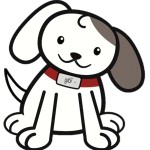 Your Gibi device consists of the Gibi pet location-enabled device and related components that you use to receive the Services. You may purchase your Gibi device directly from us or from a third party seller. We are not responsible for the advertising, statements, practices, promises or services of any third party seller of Gibi devices. We may change the software required for your Gibi device, applications or programming remotely and without notice. This could affect the way you use your Gibi device. (b) Safe Use of your Gibi Device. It is your responsibility to exercise discretion and observe all safety measures required by law and common sense. We assume no responsibility for accidents resulting from or associated with the use of the Services or your Gibi device. Additional safety information and product warnings included with your Gibi device should be followed. IT IS IMPORTANT THAT YOU READ THIS ARBITRATION CLAUSE. IT PROVIDES THAT YOU MAY BE REQUIRED TO SETTLE ANY CLAIM OR DISPUTE THROUGH ARBITRATION, EVEN IF YOU WOULD PREFER TO LITIGATE SUCH CLAIMS BEFORE A JURY. OTHER RIGHTS THAT YOU WOULD HAVE IF YOU WENT TO COURT, SUCH AS DISCOVERY OR THE RIGHT TO APPEAL THE DECISION, MAY NOT BE AVAILABLE IN ARBITRATION OR MAY BE MORE LIMITED. (a) Arbitration. Any claim or controversy arising out of or relating to the use of your Gibi device, to the goods or services provided by Gibi (including the Services), or to any acts or omissions for which you may contend Gibi is liable, including but not limited to any claim or controversy as to arbitrability (“Dispute”), shall be finally, and exclusively, settled by arbitration. The arbitration shall be held before one arbitrator under the commercial arbitration rules of the American Arbitration Association (“AAA”) in force at that time. The arbitration shall be venued in the state and federal courts of San Mateo County, California. The arbitrator shall be selected pursuant to the AAA rules or from a list of arbitrators provided by Gibi. Filing and other non-award costs will be paid for in equal shares by both parties, except that the fee to the arbitrator will be paid by the non-prevailing party. To begin the arbitration process, a party must make a written demand. Should any State or Federal law conflict with the above rules for resolving disputes or the AAA rules, such conflicting rules shall be severed from the enforceable rules and the enforceable rules shall survive and control the dispute resolution process. Any gaps left in the process due to severed rules shall be resolved at the discretion of the selected arbitrator. (b) Judgments. Any judgment upon the award rendered by the arbitrators may be entered in any court of competent jurisdiction in San Mateo County, California. The arbitrators shall not have the power to award damages in connection with any Dispute in excess of actual compensatory damages and shall not multiply actual damages or award consequential, punitive or exemplary damages, and each party irrevocably waives any claim thereto. The agreement to arbitrate shall not be construed as an agreement to the joinder or consolidation of an arbitration under this Agreement with arbitration of disputes or claims of any non-party, regardless of the nature of the issues or disputes involved. (c) Waiver of Rights. THIS AGREEMENT PROVIDES THAT ALL DISPUTES BETWEEN YOU AND GIBI WILL BE RESOLVED BY BINDING ARBITRATION. YOU THUS GIVE UP YOUR RIGHT TO GO TO COURT TO ASSERT OR DEFEND YOUR RIGHTS. YOU ALSO GIVE UP YOUR RIGHT TO PARTICIPATE IN OR BRING CLASS ACTIONS. IF THIS CLASS ACTION WAIVER IS DEEMED UNENFORCEABLE, THEN THE ENTIRE ARBITRATION PROVISION SHALL BE DEEMED UNENFORCEABLE. IN NO CIRCUMSTANCE SHALL CLASS CLAIMS BE BROUGHT OR ADJUDICATED IN ARBITRATION. YOUR RIGHTS WILL BE DETERMINED BY NEUTRAL ARBITRATORS AND NOT A JUDGE OR JURY. You are entitled to a fair hearing, but the arbitration procedures are simpler and more limited than rules applicable in court. Arbitrator decisions are enforceable as any court order and are subject to very limited review by a court. By using Gibi’s goods and services you consent to these restrictions. (d) Inapplicable or Unenforceable Arbitration. Should a Dispute arise and should the arbitration provisions herein become inapplicable or unenforceable, or in any instance of any lawsuit between you and Gibi, the parties agree that jurisdiction over and venue of any suit shall be exclusively in the state and federal courts sitting in San Mateo county, California. If either party employs attorneys to enforce any right in connection with any Dispute or lawsuit the prevailing party shall be entitled to recover reasonable attorneys’ fees. (e) Notice of Disputes. If you or we have a Dispute against the other, before initiating, joining, or participating in any lawsuit, arbitration or other legal proceeding, the complaining party shall give the other party: (1) a written notice of the Dispute (referred to below as a “Dispute Notice”), explaining in reasonable detail the nature of the Dispute and any supporting facts; and (2) a reasonable good faith opportunity (not less than 30 days) to resolve the claim without the necessity of a legal proceeding. Any Claim Dispute directed to Gibi shall be sent to us at legal@gibitechnologies.com. Any Dispute Notice directed to you shall be sent to your address appearing in our records or, if you advise us that you are represented by counsel, to your attorney at your attorney’s office. If you or we fail to comply with this Notice of Disputes provision before commencing a lawsuit, arbitration or other legal proceeding, that failure shall be a complete defense to all claims asserted in such proceeding. (f) Opportunity to Cure. You and we intend for both of us to have the right to arbitrate disputes on an individual basis as set forth above. If a court finds any reason to invalidate or refuse to enforce this arbitration provision, the party aggrieved by that decision shall have the right to take unilateral action to eliminate the basis for the court’s decision, such as by waiving any right or remedy it has under this Service Agreement or agreeing to additional fee or cost shifting. This cure right may be exercised during briefing of a motion to compel arbitration, during oral argument, or in a renewed motion to compel arbitration. If a renewed motion is filed, you and we agree that the exercise of cure rights hereunder shall constitute new facts permitting such a renewed motion. (a) Disclaimer of Warranties. EXCEPT AS OTHERWISE PROVIDED IN ANY SEPARATE LIMITED WARRANTY THAT MAY BE APPLICABLE TO YOUR PRODUCT, WE (FOR THE PURPOSES OF THIS SECTION 7, WE AND OUR AFFILIATES, WIRELESS CARRIER AND OTHER SERVICE PROVIDERS, DISTRIBUTORS, ORIGINAL EQUIPMENT MANUFACTURERS, SUPPLIERS AND PARTNERS ARE COLLECTIVELY REFERRED TO AS “OUR,” “WE” OR “US”) MAKE NO REPRESENTATIONS OR WARRANTIES, EXPRESS OR IMPLIED, INCLUDING, TO THE EXTENT PERMITTED BY APPLICABLE LAW, REGARDING ANY IMPLIED WARRANTY OF NON-INFRINGEMENT, MERCHANTABILITY OR FITNESS FOR A PARTICULAR PURPOSE CONCERNING YOUR SERVICE OR YOUR GIBI DEVICE. WE CANNOT PROMISE UNINTERRUPTED OR ERROR–FREE SERVICE AND DO NOT AUTHORIZE ANYONE TO MAKE ANY WARRANTIES ON OUR BEHALF. THIS DOES NOT DEPRIVE YOU OF ANY WARRANTY RIGHTS YOU MAY HAVE AGAINST ANYONE ELSE. ALL DATA AND INFORMATION IS PROVIDED TO YOU ON AN “AS IS” BASIS. WE MAKE NO REPRESENTATIONS OR WARRANTIES ON THE ACCURACY, COMPLETENESS OR TIMELINESS OF ANY LOCATION OR OTHER DATA MADE AVAILABLE TO YOU. YOUR USE OF ANY INFORMATION AVAILABLE THROUGH THE SERVICES IS AT YOUR OWN RISK AND RESPONSIBILITY. (b) Limitations of Liability. UNLESS THE LAW FORBIDS IT IN ANY PARTICULAR CASE, THE LIMITATIONS AND WAIVERS IN THIS SECTION WILL APPLY REGARDLESS OF THE THEORY OF LIABILITY, WHETHER STATUTORY, FRAUD, MISREPRESENTATION, BREACH OF CONTRACT, PERSONAL INJURY, PRODUCTS LIABILITY OR ANY OTHER THEORY. NEITHER WE NOR YOU WILL SEEK ANY ATTORNEYS FEES, INDIRECT, SPECIAL, TREBLE, CONSEQUENTIAL OR PUNITIVE DAMAGES FROM THE OTHER. YOU AGREE THAT WE ARE NOT LIABLE FOR PROBLEMS CAUSED BY YOU OR A THIRD PARTY; BY BUILDINGS, ACCIDENTS, HILLS, NETWORK CONGESTION, TUNNELS, TOWERS, WEATHER OR OTHER THINGS WE DO NOT CONTROL; OR BY ANY ACT OF GOD. YOU AGREE TO INDEMNIFY AND HOLD HARMLESS US AND EACH OF OUR OFFICERS, EMPLOYEES, AFFILIATES AND AGENTS FROM AND AGAINST ANY CLAIMS, IRRESPECTIVE OF THE NATURE OF THE CAUSE OF THE CLAIMS, ALLEGING LOSS, COSTS, EXPENSES, DAMAGES OR INJURIES (INCLUDING INJURIES RESULTING IN DEATH) ARISING OUT OF OR IN CONNECTION WITH CLAIMS FOR LIBEL, SLANDER, OR ANY PROPERTY DAMAGE, PERSONAL INJURY OR DEATH, ARISING IN ANY WAY DIRECTLY OR INDIRECTLY IN CONNECTION WITH THIS SERVICE AGREEMENT, THE USE, FAILURE TO USE, OR INABILITY TO USE THE GIBI DEVICE OR THE SERVICES, EXCEPT WHERE THE CLAIMS RESULT FROM OUR GROSS NEGLIGENCE OR WILLFUL MISCONDUCT. IF ANOTHER SERVICE PROVIDER IS INVOLVED IN ANY PROBLEM, YOU ALSO AGREE TO ANY LIMITATIONS OF LIABILITY THAT THE SERVICE PROVIDER ALSO IMPOSES. YOU ACKNOWLEDGE AND AGREE THAT YOU HAVE NO CONTRACTUAL RELATIONSHIP WHATSOEVER WITH ANY OF OUR SERVICE PROVIDERS AND YOU ARE NOT A THIRD PARTY BENEFICIARY OF ANY AGREEMENT BETWEEN US AND SUCH SERVICE PROVIDERS. UNLESS YOU HAVE A SEPARATE CONTRACT WITH OUR SERVICE PROVIDERS, SUCH SERVICE PROVIDERS HAVE NO LEGAL, EQUITABLE OR OTHER LIABILITY OF ANY KIND TO YOU AND YOU WAIVE ANY AND ALL CLAIMS OR DEMANDS FOR SUCH LIABILITY. OUR MAXIMUM LIABILITY TO YOU UNDER ANY THEORY (INCLUDING BUT NOT LIMITED TO FRAUD, MISREPRESENTATION, BREACH OF CONTRACT, PERSONAL INJURY, OR PRODUCTS LIABILITY) IS LIMITED TO AN AMOUNT EQUAL TO THE PORTION OF THE CHARGES TO YOU FOR THE SERVICES RELATING TO THE PERIOD OF SERVICE DURING WHICH SUCH DAMAGES OCCUR. (c) Credit Cards. You authorize us to investigate your credit history at any time and to share credit information about you with credit reporting agencies and other Gibi companies, affiliates, agents or representatives. If you ask, we will tell you the name and address of any credit agency that gives us a credit report about you. (d) Our Intellectual Property. You may not, and you agree that you shall not, copy, decompile, disassemble, reverse engineer or manipulate any technology in, or otherwise modify or tamper with, any Gibi device and equipment used to receive the service. Nothing under this Service Agreement or the fact that you have access to and use of the Services gives you any right, title or interest or license in or to any technology, software and content, or any intellectual property rights in any of the foregoing, available with the service. Nothing under this Service Agreement or the fact that you have access to and use of the Services gives you any right, title or interest or license to reproduce or otherwise use our or any third party trademarks, service marks, graphics, or logos. You may not, and you agree that you shall not, copy or otherwise tamper with any software and content available with the Services. Except as required by law, you acquire no proprietary interest in any number assigned to the Gibi device for its use. (d) Jurisdiction and Venue. You agree that all matters relating to your access to or use of the Site, including all disputes, will be governed by the laws of the United States and by the laws of the State of California without regard to its conflicts of laws provisions. You agree to the personal jurisdiction by and venue in the state and federal courts in San Mateo County, California, and waive any objection to such jurisdiction or venue. (e) Survival. Those sections of this Service Agreement that by their context are intended to survive the termination or expiration of this Service Agreement (including, without limitation Sections 6, 7 and 8) shall so survive. (f) Waivers, Assignments. A waiver of any part of this Service Agreement in one instance is not a waiver of any part or any other instance. You cannot assign this Service Agreement or any of your rights or duties under it. We may assign all or part of this Service Agreement or your debts to us without notice, and you agree to make all subsequent payments as instructed. (g) Notices. Except as provided in Sections 1, if Gibi needs to contact you about your product, service or account, you consent to receive the notices by the email address that you set up during registration for the Service. You agree that such notices that we send you electronically will satisfy any legal communications requirements. Notices are considered delivered to us three (3) days after mailing them to the customer service address provided on your most recent billing statement or copy of your account history or emailed to legal@gibitechnologies.com. (i) No Third Party Beneficiaries. This Service Agreement is not for the benefit of any third party except our parents, affiliates, subsidiaries, agents, assigns and predecessors and successors in interest. (j) Support Questions. If you have a question about your Services, Plan, fees, charges or bill, or if you would like to change or reactivate your Plan, please contact Customer Care by sending an email to support@gibitechnologies.com.